You can pick up anyone of these for less than $21,000. SUVs and crossovers are a booming segment, stealing sales from and killing hatchbacks and wagons alike. But in a world where every cent matters, it’s worth knowing when you can score a sweet deal and when you can’t. So if you’re looking for an SUV, we’ve compiled the ten cheapest currently on sale as 2018 models – all of which undercut the $21,000 mark. Bear in mind that this list only focuses on 2018 models, and uses manufacturer pricing at the time of publication. Kia’s boxy crossover SUV is the cheapest SUV currently on sale in the United States. 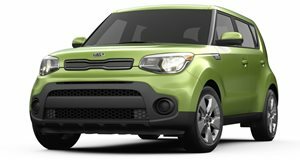 At $16,200, the entry level Kia Soul Base is the only Soul model to feature a 1.6-liter engine – developing 130 horsepower and 118 lb-ft of torque. It also features a limited color palette, and standard features are limited to just an AM/FM/MP3/SiriusXM Audio System, 6 speakers, Bluetooth, power windows, air conditioning, and manually adjustable, cloth upholstered seats. It’s a fairly Spartan ordeal, but it’s cheaper by nearly $2,000 than the next cheapest entry on this list. Jeep’s shares underpinnings with another on this list – the Fiat 500X – and is the smallest model available from the SUV-only brand. In its cheapest front-wheel drive Sport trim, it comes in at just $18,445, and is not entirely devoid of standard equipment. Bluetooth, a rear-view camera, and keyless entry are standard, though buyers need make do with a compact 5-inch version of the Uconnect media system. Power is derived from a 1.4-liter MultiAir Turbo engine developing 160 horsepower and channeled to the front wheels via a six-speed manual transmission. Named after a city on the island of Hawaii, boasts front wheel drive – though all-wheel drive is available – and features cloth upholstery, manually adjustable seats, a 7-inch color touchscreen infotainment system, Android Auto and Apple CarPlay functionality, a rear view camera, manual air conditioning, and cruise control as standard. 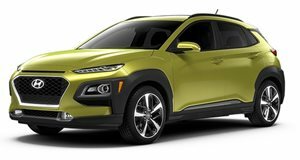 It makes the Kona one of the best value for money propositions at this price point, while a 2.0-liter naturally aspirated engine – 147 hp and 132 lb-ft of torque – manages the drive through a standard 6-speed automatic transmission. 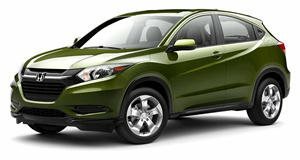 Though few will ever purchase it in poverty spec, the Honda HR-V cashes in as the fourth cheapest SUV on the market at just $19,670. In base LX trim, it’s standard with front wheel drive and a 6-speed manual, though all-wheel drive and a CVT are available. The engine remains a fixed 1.8-liter 4 cylinder developing 141 hp and 127 lb-ft. Standard features on the base HR-V include a/c, power windows, cruise control, manually adjustable seats, and a 60/40 split second row that can fold to allow a maximum of 58.8 cubic feet of cargo space. Four speakers and Bluetooth connectivity are standard along with a 5-inch color LED screen. 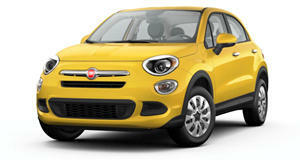 Fiat has for some time produced decent vehicles at a steady mid-range price point, with the 500 spearheading its line-up rather successfully. The crossover version – the Fiat 500X – is affordable too, at $19,995, but is more than just a 500 on stilts. It’s based on a larger architecture, and shares underpinnings with the more affordable – in base trim – Jeep Renegade we mentioned earlier. In its base Pop trim, you get the same 1.4T MultiAir engine with 160 hp, but you get a few extra features that make it worth the price difference, such as the standard 7-inch Uconnect infotainment screen. We’ve called the EcoSport the Fiesta’s Awkward Cousin, and based on the same architecture it’s the family member that grew a little bigger than anyone expected. But it’s a relative bargain at a base MSRP of $1,995, with key features being the side opening tailgate – ideal for underground parking areas – and the 1.0-liter turbo three cylinder EcoBoost engine developing a potent 123 hp and 125 lb-ft while being able to tow up to 1400 pounds. 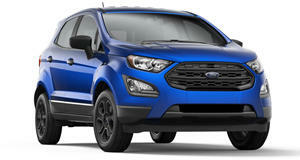 The EcoSport is one of the taller budget options around, with good ground clearance and a commanding view of the road, making it a unique proposition in a world of barely lifted hatchbacks. What was I saying about barely lifted hatchbacks? 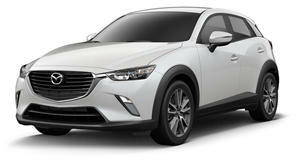 The CX-3 is just that, offering more body cladding than genuine SUV credo. It’s also a little pricey – for a list of cheapest SUVs – breaking through the $20k mark with a base MSRP of $20,110. But for the money you get plenty style, a 146-hp 2.0-liter engine, and claimed EPA figures of 34 mpg on the highway. Even in base Sport trim, it’s decently kitted with a/c, power windows, cruise control, and a 7-inch full color infotainment display. But be warned, the CX-3 is small, with cargo volume behind the rear seats limited to just 12.4 cubic feet. The 2017 model is still sold for under $20k, but being a 2017 model its precluded from this list. 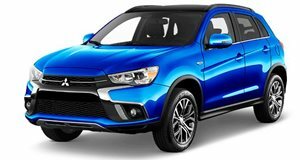 The 2018 Outlander Sport is only a little beyond the mental 20k barrier, but features items like a 7-inch touchscreen audio system, a rear-view camera, four speakers, Bluetooth compatibility, cruise control, automatic climate control, and cargo hooks in the load bay. In its cheapest form, the Outlander Sport is front-wheel driven by a 2.0-liter 4 cylinder motor outputting 148 hp and 145 lb-ft, sent through a 5-speed manual gearbox as standard. 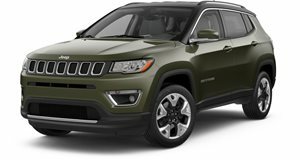 The latest generation Jeep Compass looks just like a miniature Grand Cherokee – so it’s no wonder it carries a higher price-tag than the decidedly compact Renegade. Priced from $20,550 in base form, the Compass Sport FWD offers a 2.4-liter inline-4 developing 180 hp. Cloth upholstery is standard with manual seat adjustment, a/c, a sliding front arm rest, cruise control, and Uconnect 3 with a 5-inch display. 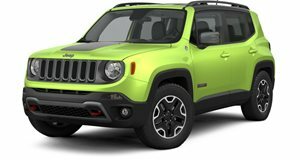 In reality you’ll likely want to opt for a slightly more expensive trim, or at least add a couple of options, but if the Renegade is just too small, then the extra cash for an entry-spec Compass is well worth the extra space and comfort it affords. 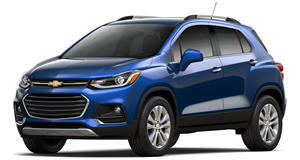 Last on our list, and square on the $21,000 mark as a base MSRP, is the Chevrolet Trax. This compact SUV boasts a tall stance and some pretty impressive ride qualities, with excellent levels of refinement and a solid stance on the road. Power comes from a 1.4-liter turbo motor developing 138 hp, and in its cheapest incarnation driving the front wheels only – though all-wheel drive is available. In base LS specification, the Trax still offers the exceptional MyLink infotainment system, a rear-view camera, and 10 airbags, though visually it looks a little plain with only halogen headlights and 16-inch steel wheels.